his Beatitude was born on 15 June 1959 to Mathew and Annamma Thottumkal at Mukkoor, Mallappally in the civil district of Pathanamthitta and he was given the name Isaac. He hails from the traditional Pakalomattom-Powathikunnel family. He completed his primary education in St. Mary’s UP School, Kunnamthanam and secondary education in St. Mary’s High School, Anikkad. Responding to the urge of God within him to surrender his life to the service of his Church and of the larger human community he joined Infant Mary’s Minor Seminary of the Eparchy of Tiruvalla in June, 1976. Bro. Isaac completed his Pre-Degree studies in St. Berchman’s College, Changanacherry. Then he was sent to St. Joseph’s Pontifical Seminary, Aluva for the philosophical studies. In 1978, the Eparchy of Bathery was erected, bifurcating the Eparchy of Tiruvalla. Bro. Isaac boldly decided to embrace the challenges of a mission diocese and thus opted for the new Eparchy of Bathery. After completing his philosophical studies and a year of regency, he was sent to the Papal Seminary, Pune for his theological studies. On 22 March 1986, he was ordained a deacon by His Excellency Most Rev. Valerian D’Souza, the Bishop of Pune. In March 1986 he graduated in theology from the Pontifical Athenaeum, Pune. On 11 June 1986, His Excellency Most Rev. Dr. Cyril Mar Baselios ordained him a priest for the Eparchy of Bathery. Fr. Isaac Thottunkal was then sent to Dharmaram College, Bangalore to do Masters in Theology. While doing his Masters, he served as the Vicar of the Malankara Catholic Faithful in Bangalore and contributed much to the founding of the flourishing Malankara Catholic Missions in Bangalore. Having successfully completed his Masters in Theology in 1988, Fr. Isaac Thottunkal returned to Bathery and served as the Rector of St. Thomas Minor Seminary and the Parish Priest of St. Thomas Cathedral in Sultan Bathery. Then he was sent to Rome to do Doctorate in Theology. In 1997, he completed his Doctorate in Ecumenical Theology from the University of St. Thomas Aquinas, Rome. Having returned to his home diocese, he served as the Spiritual Father of the Minor Seminary, the Chancellor of the Eparchy and as the Proto-Syncellus of the Eparchy. He is the author of three books, namely, Emerging Trends in Malankara Catholic Theology: Vision and Contributions of Cyril Mar Baselios, Sabhackum Samoohathinumayi (Malayalam) and Suvisheshadeepthi (Malayalam). Msgr. Isaac Thottunkal was appointed as the Auxiliary Bishop of Trivandrum and Apostolic Visitator to North America and Europe on 18 June 2001 by Pope John Paul II. He was ordained a Remban on 2 August 2001 at St. Thomas Cathedral, Bathery by Most Rev. Dr. Cyril Mar Baselios, Metropolitan-Archbishop of Trivandrum. He was ordained a Bishop on 15 August 2001 at Thirumoolapuram, Tiruvalla by His Grace Most Rev. Dr. Cyril Mar Baselios. He assumed the name Isaac Mar Cleemis. He served as the Apostolic Visitator to the Malankara Catholic faithful in North America and Europe for two years and during this tenure, he took the initiative to strengthen the existing Malankara Catholic Missions in North America and started a new Mission at Rockland. The Mar Ivanios Malankara Catholic Centre at New Hyde Park, New York is the visible fruit of the vision and the toil of Mar Cleemis who could win the wholehearted cooperation of all the Malankara Catholics in North America in realizing this project. Today this Centre is the head quarter of the Malankara Catholic Church in North America. In America, he served as the Patron of the Indian Christian Forum of North America and of the St. Thomas Ecumenical Federation of India in North America. 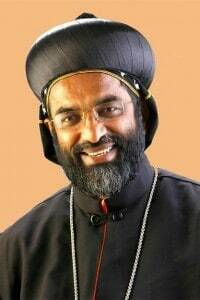 On 11 September 2003 His Excellency Isaac Mar Cleemis was appointed Bishop of the Eparchy of Tiruvalla and he was installed in office on 2 October 2003 at St. Johns’ Cathedral, Tiruvalla. In February 2006, he was elected the Vice President of the Catholic Bishops’ Conference of India. 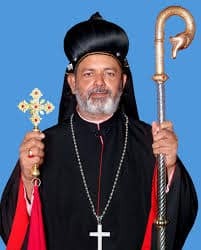 On 15 May 2006, when the Eparchy of Tiruvalla was raised to the status of Archieparchy and the Metropolitan Province of Tiruvalla was erected, His Excellency Isaac Mar Cleemis was appointed the Metropolitan Archbishop by His Beatitude Moran Mor Cyril Baselios Catholicos. On 10 June 2006 he was installed as the Metropolitan-Archbishop of Tiruvalla at St. John’s Cathedral, Tiruvalla. 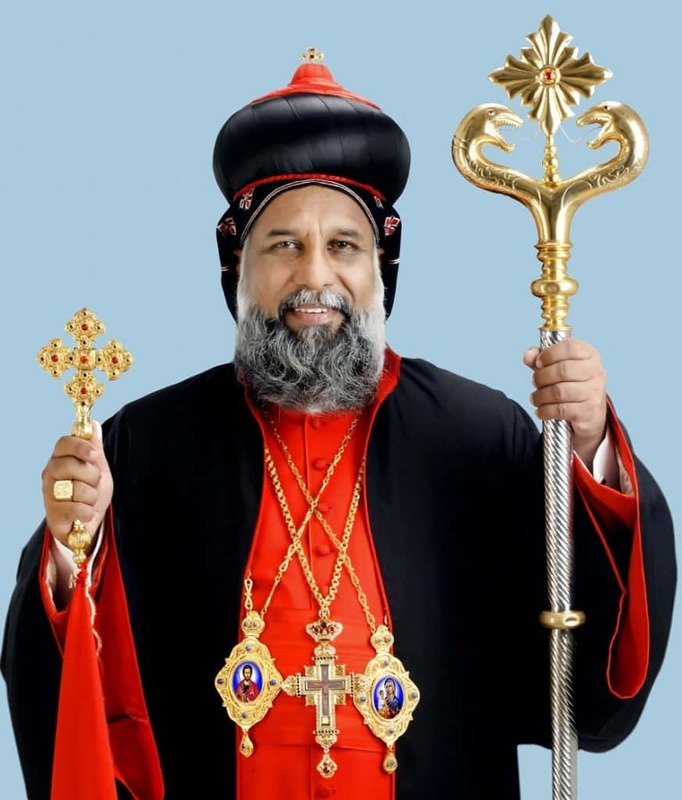 The Major Archbishop-Catholicos’ See in Trivandrum fell vacant following the demise of His Beatitude Moran Mor Cyril Baselios Catholicos on 18 January 2007. The Holy Episcopal Synod of Syro-Malankara Catholic Church, convoked on 8 February 2007 elected Most Rev. Isaac Mar Cleemis as the new Major Archbishop–Catholicos. On 10 February 2007 His Holiness Pope Benedict XVI confirmed the election of Mar Cleemis as the Father and Head of the Malankara Catholic Church. Mar Cleemis assumed the name Baselios Cleemis. He was enthroned as the Major Archbishop-Catholicos of the Malankara Catholic Church and the Major Archbishop of Trivandrum on 5 March 2007 at St. Mary’s Cathedral, Trivandrum. He celebrates his heavenly Patron’s Day on I January. His Grace belongs to the family of Chakkalapadickal, a branch of the noble, traditional family of Panackamattom. He was born on 19 October 1958 as the seventh son among ten children of Ninan Varghese and Aleyamma. He belongs to the parish of St. Catherine Malankara Catholic Church, Kadapra-Mannar in the revenue district of Pathanamthitta. The parents made a splendid involvement in bringing him up devoted to Church and zealous in spiritual concerns. He completed his primary education in St. Mary’s L.P. School, Thevarakuzhy, upper primary education in Mar Severios Memorial School, Kadapra – Mannar, and secondary education in St. Mary’s School, Niranam and in St. Thomas School, Thevery. Having decided to devote himself to the service of the Lord, he joined the Minor Seminary of the Eparchy of Tiruvalla on 10 June 1974. He completed his higher secondary education in St. Berchman’s College, Changanacherry. He was sent to Papal Seminary, Pune, for his philosophical and theological studies. He was ordained priest on 30 December 1985 by His Excellency Isaac Mar Yoohanon. Later he was the Vicar of parishes at Kumali, Vandanmedu, Chettukuzhy, Mulakkaramedu, Kattapana, Pazhayarikandom, Niranam East (Alamthuruthy). In 1988, he was appointed as the secretary to His Excellency Geevarghese Mar Timotheos. Meanwhile, he was the vicar of parishes at Niranam Central and Pandankari. In 1989, he was given the charge as the co-ordinator of the Malankara Catholic Community in Delhi. His desire to pursue his studies spread its wings when he was allowed to do research in Canon Law. He obtained a Doctorate in Canon Law from Pontifical Oriental Institute, Rome. After his studies he rendered his services as the Chancellor, and the Judicial Vicar of Eparchy. Pope John Paul II appointed him Auxiliary Bishop of the Eparchy of Tiruvalla on 5 July 1997. 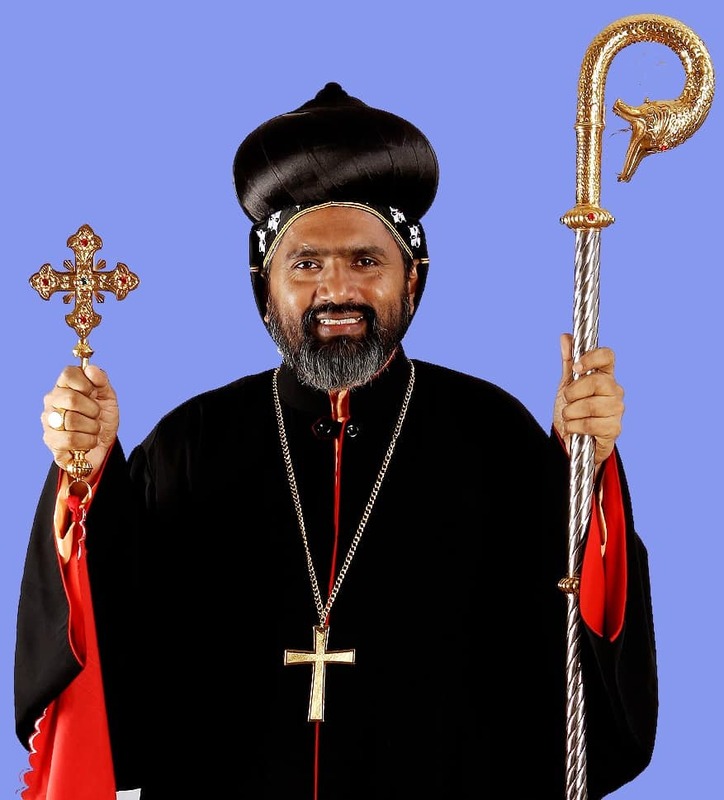 He was ordained bishop on 17 July 1997 by Metrpolitan Geevarghese Mar Timotheos, at St.John’s Cathedral, Tiruvalla. On 15 January 2003, he was appointed first Metropolitan of the Eparchy of Muvattupuzha and was enthroned on 6 February 2003. 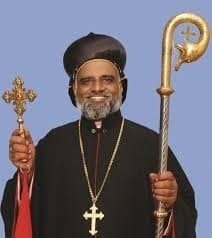 After the election of His Grace Isaac Mar Cleemis as the Major Archbishop-Catholicos of the Malankara Catholic Church, Mar Koorilos was appointed as the second Archbishop of the Archieparchy of Tiruvalla on 26 March 2007, and was installed on 2 May 2007. Presently His Grace is serving as the Secretary of the Holy Episcopal Synod of the Malankara Catholic Church. Feast of Heavenly Patron – St. Cyril of Jerusalem, 18 March. Koshy Varghese was born on 24 May 1950 at Kottarakara in the civil District of Kollam to Mr. Kizhakkevettil Oommen Varghese and Mrs. Annamma Varghese. He did his primary education at the St. Mary’s School, Kizhaketheruvu and he completed his secondary education at the Government High School, Kottarakkara in 1967. He entered St. Aloysius Minor Seminary, Trivandrum in 1967. He did his Pre-Degree Course at Mar Ivanios College, Trivandrum. He did his course in Philosophy and Theology at St. Joseph’s Seminary, Thiruchirapally, Tamil Nadu, during the period 1970 -’78. He was ordained as priest on 2 April 1978 by the Metropolitan Archbishop Benedict Mar Gregorios. Fr. Koshy Varghese Kizhakkeveettil served in the parishes at Kirathoor, Manjathoppu, Vimalapuram, Susaipuram from 1978-1983. He graduated from the Christian College, Marthandam, in Tamil Nadu, with History, Economics, and Politics as his optional subjects. He secured his Master’s Degree from Madurai Kamaraj University, Tamil Nadu, in 1984. In 1983 Fr. Koshy Varghese was appointed vicar of the mission stations at Padi, Perampur and Thiruvottiyoor in Chennai. During his tenure in Chennai, he started the Mar Ivanios Dispensary, and founded the Sacred Heart School, and served as its Principal from its inception. He took Bachelor’s and Master’s Degrees in Education from Kamaraj University, Madurai in 1985 and 1987 respectively. In 1994, he established the Mar Gregorios College and served as its local manager till 1996. He did his research on “Leadership, Organizational Health with School Effectiveness” in Stella Matituna College of Education, Chennai and obtained Ph. D from the University of Madras, in 2000. In May 1996 he was appointed Vicar General of the Archieparchyof Trivandrum. He was made Cor-Episcopo in 1997. On 15 April 1998 he was appointed the Auxiliary Bishop of the Archieparchy of Trivandrum by Pope John Paul II. Metropolitan Archbishop Cyril Mar Baselios, ordained him Bishop and gave him the name Joshua Mar Ignathios on 29 June 1998. 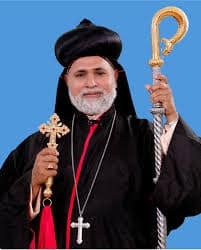 Metropolitan Mar Ignathios was the Vice Chairman of the Labour Movement of the Kerala Catholic Bishop’s Conference (KCBC) during the period 1998-2000 and later he was elected as its Chairman for the years 2002-2007. He was elected the Secretary of the KCBC and served the Church of Kerala in this capacity during the period 2000-2002. In December 2007, he was elected the Vice President of the KCBC. His Excellency holds chairmanship of the Labour Commission of the Catholic Bishop’s Conference of India (CBCI) from 2002 onwards. Metropolitan Mar Ignathios was an active member of the Nilackal Ecumenical Trust. Along with the Bishops of the Episcopal Churches, His Excellency made several ecumenical journeys and visited many international pilgrim centres. He also visited the World Council of Churches’ Centre at Geneva and attended an International Conference organized by it. He has visited several countries in the West and East for attending various International Conferences organized either by the CBCI or the Holy See. 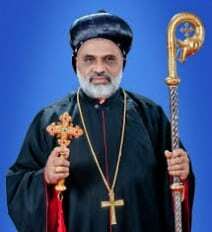 The Holy Episcopal Synod of the Malankara Catholic Church elected him the first Metropolitan of the newly erected Eparchy of Mavelikkara. The inauguration of the new Eparchy and the installation of Mar Ignathios as its Metropolitan took place on 16 February 2007. His Excellency Mar Ignathios serves as retreat preacher in several retreat centres associated with bishops, priests and religious across Kerala and outside the State. He is known as an eloquent preacher and powerful speaker and has an admirable command in many languages including Malayalam, Tamil and English. His Excellency was born on 20 February 1964 hails from Kumarankudy in the District of Kanyakumari in Tamil Nadu and belongs to the Eparchy of Marthandam. His parents are Kochupillai and Maria Thangam. After completing Higher Secondary Education at Yettacode, he joined the St. Aloysius Minor Seminary Trivandrum. He took his bachelor’s degree in Philosophy from St. Mary’s Malankara Seminary and degree in Theology from St. Thomas Apostolic Seminary, Kottayam. He was ordained as Priest at his home parish Annakarai on 2 January 1991 by Most Rev. Benedict Mar Gregorios. He did his Master’s Degree in History and professionally qualified himself with B. Ed. He obtained a doctorate in Dogmatic Theology from Rome. He served the Eparchy of Marthandam in various capacities like Parish Priest, Protopresbyter, Correspondent of MSC schools, Member of Education Board, Director of Children for Unity and Member of the Commission for Liturgy. He was the Professor and Registrar of St. Mary’s Malankara Seminary. Besides English and Tamil, he knows Malayalam, German, Italian, Spanish and Syriac. He was appointed as the Bishop of the Eparchy of Marthandam on 25 January 2010. He was ordained bishop on 13 March 2010 and the installation took place on the same day. He was born on 25 November 1955 at Adoor in the District of Pathanamthitta, Kerala, India. His parents are late C. Koshy and Kunjamma. After his schooling at Adoor and Kattanam he joined the Order of the Imitation of Christ or Bethany Ashram and made his First Profession in the year 1974. He had his priestly formation at Bethany Ashram Pune and took the bachelor’s degrees in Philosophy and Theology from the Jnanadeepa Vidyapeeth Pune. He was ordained priest on 27 December 1980 by Most Rev. Cyril Mar Baselios, at Mar Ivanios Nagar, Kottayam, the venue of the Golden Jubilee Celebrations of the Reunion Movement initiated by the Servant of God Archbishop Mar Ivanios. He completed his graduation from the University of Kerala. From the Pontifical Oriental Institute Rome he took his Doctorate in Oriental Canon Law. He was engaged in the ministry of the Bethany Ashram in various offices such as Master of Pre-Philosophers, Master of Pre-Novices, Procurator and Rector of Bethany Ashram Pune. He was the Director of Bethany Vedvijnana Peeth, Institute of Oriental Theology Pune. He served the Congregation as a member of General Council for two consecutive terms. His pastoral activities in the Church were primarily in the field of the organization of the Syro-Malankara Catholic Church in the Extraterritorial Regions in India, especially in Pune. He also served the Archieparchy of Tiruvalla as its Judicial Vicar. Presently he is the Postulator of the Cause of Canonisation of the Servant of God Archbishop Mar Ivanios and the Chancellor of the Major Archiepiscopal Curia. Besides Malayalam and English, he speaks Hindi, German and Italian and knows Syriac. He was appointed the Curia Bishop of the Major Arhiepiscopal Curia on 25 January 2010. He was ordained Curia bishop on 13 March 2010. His Excellency was born on 2 February 1928, the Feast of the Entrance of Our Lord in the Temple, as the first son of Fr. Jacob Chundevalel and Annamma at Amayannoor, Kottayam District. He was strongly influenced by his grandfather Varkey Chundevalel who took him to the Church to participate in the Holy Qurbono with devotion. He completed his primary school education at Amayannoor, middle school education at Itty Memorial School, Manarcadu, and high school education at St. Mary’s School, Kidangoor. The family of Fr. Jacob Chundevalel made their profession of Catholic faith when he was studying in the third forum. On occasions when he accompanied his father to ‘Aramana’ he attracted the attention of the His Excellency Joseph Mar Severios Metropolitan. It was Mar Severios, the Second Bishop of Tiruvalla who inspired him to dedicate his life for the service of the Lord. He joined the minor seminary of the Eparchy of Tiruvalla in 1943. Having completed his minor seminary life, he was sent to Papal Seminary in Candy for Philosophical and Theological studies. He was ordained as priest by Bishop Stem on 24 August 1953. Fr. George Chundevalel was appointed vicar of parishes of Kothamangalam and Nellimattom. He pursued his studies at Gregorian University in Rome and obtained Master’s Degree in Spiritual Theology. He was appointed the Rector of the Minor Seminary in 1967, where he served for 13 years. In 1980 he was appointed Vicar of the Cathedral. His Excellency Isaac Mar Yoohanon, the fourth Bishop of Tiruvalla appointed Fr. George as the Proto-Syncellus of the Eparchy in 1984. At the demise of His Excellency Isaac Mar Yoohanon in 1987, Fr. George was elected the Administrator of the Eparchy. 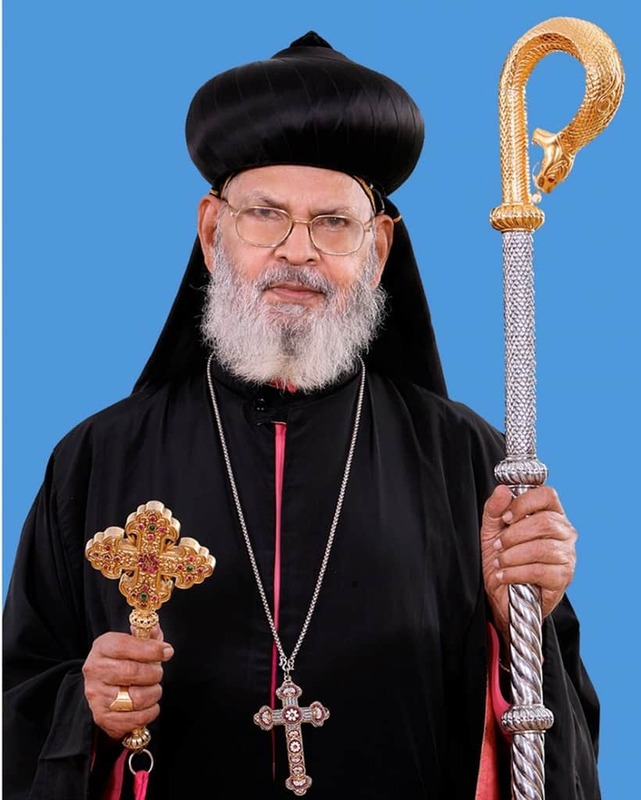 Later the Holy See appointed him the Bishop of Tiruvalla, and he was consecrated Bishop by His Grace Archbishop Benedict Mar Gregorios on 6 August 1988 at St. John’s Cathedral. He served as the Secretary of the Kerala Catholic Bishop’s Council. He had been the Vice-president of the Catholic Bishops’ Conference of India in 1994. 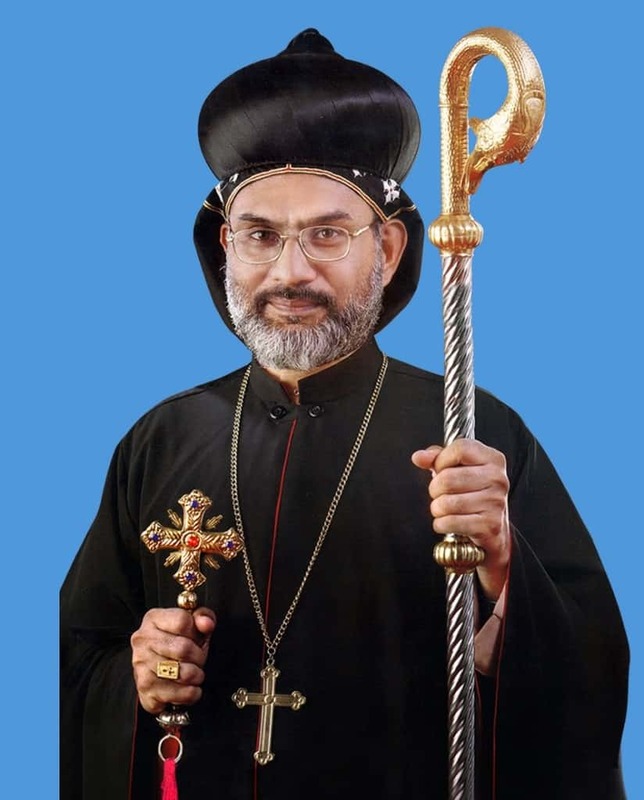 On 29 March 2003 the Holy See accepted the resignation of His Excellency Geevarghese Mar Timotheos as the eparchial Bishop due to super-annuation. Now he is taking rest at Snehasadan, Pallimala in Tiruvalla. He celebrates his Feast day on 22 January. His Excellency was born on 1 November 1950 as the second son of N. S. Varghese and Mariamma. He comes from Ottathengil family settled at Anaprambal, Edathuva, Tiruvalla. In 1956, his family migrated to South Canara in Karnataka. They stayed at several places in the district of South Canara and finally settled at Ichilampady, a small beautiful village in the district. In 1962 his family embraced catholic faith. After the school education he started his seminary formation in 1966 at Infant Mary’s Minor Seminary in the Eparchy of Tiruvalla. In 1970 he was sent to St. Paul’s Seminary at Trichy for Philosophical and Theological studies. During his seminary formation he developed an interest in Karnatic music and spent time for learning it. Having completed his priestly formation he was ordained a priest on 20 April 1978 by His Grace Benedict Mar Gregorios. After the ordination, Fr. Varghese Ottathengil was appointed assistant vicar of five parish stations at Nilambur. Later he was the vicar of four parishes at Narangathode, Onjil, Mycavu and Manalvayal. In 1980 he was sent to Rome for higher studies. He successfully completed his Ph. D in Spiritual Theology. After his doctoral studies, he came back to Bathery in 1987 and was appointed vicar of Palanthadom parish in the district of Kasargod. In the same year he took charge as the Rector of the Minor Seminary in the Eparchy of Bathery. Along with this office he also served as the vicar of the Cathedral Parish. A greater responsibility was entrusted to him when he was appointed the Rector of the Major Seminary of the Malankara Catholic Church in May 1990. The Seminary was in the initial stages of growth. To establish the seminary in its every face was a laborious task before him. By his constant endeavour and prayerful attitude he achieved the dream of the Church. The seminary underwent immense developments during his seven-year tenure as Rector. In 1996 the seminary could host the CBCI General Body Meeting. He was appreciated very much for making the meeting a grand success with his excellent leadership. On 18 December 1996 His Holiness Pope John Paul II appointed Very Rev. Fr. 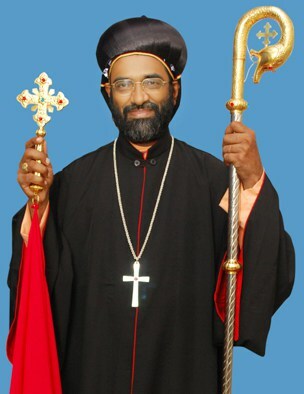 Varghese Ottathengil as the new Bishop of Bathery after Cyril Mar Baselios. He was consecrated as bishop on 5 February 1996 at Bathery by His Grace Cyril Mar Baselios. He received the name Geevarghese Mar Divannasios. His Sacerdotal Silver Jubilee was celebrated in 2003. He was the administrator of the Malankara Catholic Church during the short period after the demise of Moran Mor Cyril Baselios Catholicos. His Feast day falls on 29th November. Abraham was born on 25 May 1945 to late Mr. Varghese Kakkanattil and Annamma Varghese in the village of Kallūpara, Thiruvalla. Having completed his school education, he joined the Infant Jesus Minor Seminary Tiruvalla in 1961. He completed his philosophical studies in St. Thomas Pontifical Seminary at Vadavathoor in Kottayam and theological studies in Propaganda College, Rome. He was ordained priest by Metropolitan Zacharias Mar Athanasios. After his ordination, he served as parish priest of Mycavu and Ounjil in Kozhikkodu. From 1974 to 1979 Fr. Abraham Kakkanattu was the Economus and the Director of the Social Service Society of the Eparchy of Tiruvalla. Meanwhile, he served as the vicar of the parishes of Thalavadi North and South. In 1978 he started Matha Senior Secondary School in Thumboly, Alappuzha. In 1979 he was sent to Rome for doing higher studies in Bible and completed his Bachelor’s Degree from Biblical Institute of Rome. He also pursued a Diploma in Eastern Languages. He completed his research from Urbanian University of Rome and secured a Doctorate in Biblical Theology. He also secured a Master Degree in Psychology from the University of Mysore. He is a linguistic scholar and is well versed in twelve languages. After the successful completion of his studies, Fr. Kakkanattu was appointed the Rector of St. Mary’s Malankara Major Seminary, Trivandrum. The construction of a new building for the seminary began during his time. He undertook journeys abroad and discussions and classes in the eparchies of Malankara Catholic Church with a view of gaining financial assistance for the construction. From 1990 to 1997 he was the vicar of the St. John’s Cathedral Tiruvalla and during this tenure he started St. John’s ITC in Tiruvalla. He had been the president of Horticulture Society for seven years. In 1997 he was appointed the vicar of Chengaroor parish and corporate manager of School Administration Board of the Eparchy of Tiruvalla. On 5 February 2001, he was appointed the Director of Pushpagiri Medical College Hospital, Tiruvalla. It was he who initiated the beginning of the Nursing College, Pharmacy College, Dental College, Medicity, Pushpagiri Heart Institute, Cyril Baselios Catholicos Hospital, Primary Health Centers at Pulikunnu, Perumthuruthy and Champakulam, Guest Houses and other related institutions. Also he relentlessly made legal fights for the constitutional rights of Self Financing Colleges and other Minority Institutions. His Excellency was born on June 6, 1961 as the fourth child of Naickamparambil Mr. N.T. Varghese and Sosamma Varghese. He has one brother and three sisters. His native parish is Sacred Heart Syro-Malankara Catholic Church, Mylapra in the present Diocese of Pathanamthitta. He did his school education in Sacred Heart High School, Mylapra. Having passed the Matriculation Examination with first class in 1976, he joined the St. Aloysius Minor Seminary of the Archdiocese of Trivandrum to pursue his priestly studies. After completing the minor seminary training and the Pre-University studies successfully, he was sent to the Papal Seminary, Pune for his priestly training in Philosophy and Theology. He completed the Bachelor’s Degree in Philosophy in 1982 and Bachelor’s Degree in Theology in 1986 from the Jnanadeepa Vidyapeeth, Pune. Fr. Thomas Naickamparambil was ordained as priest on December 29, 1986 at his home parish by His Grace the Most Rev. Benedict Mar Gregorios. After his ordination, he continued his Master’s degree course in Philosophy in Jnanadeepa Vidyapeeth and completed it in 1988. Having returned to his home Archdiocese, he was appointed Vicar of the Syro-Malankara Catholic parishes at Kudassanad, Poozhikkad, Pandalam and Kurampala and Visiting Lecturer of Philosophy at the St. Mary’s Malankara Seminary, Trivandrum. In 1989 he was appointed Resident Lecturer at the St. Mary’s Malankara Seminary and Assistant Vicar at the Syro-Malankara Catholic parishes at Puthencavuvila, Thoongampara, Punnavoor, Kattuvila and Barton Hill. In 1992 he received Bachelor’s Degree in English Language and Literature from the University of Kerala. In 1993 Mar Eusebius was sent to Rome to pursue Doctoral studies in Philosophy at the Pontifical Gregorian University. He completed Doctorate in Philosophy in 1997 and returned to his home Archdiocese. He was appointed professor of Philosophy and English at the St. Mary’s Malankara Seminary where he continued to teach till 2010 when he was elected to be a Bishop. From 2000 to 2007 he served as the Dean of the Faculty of Philosophy at the St. Mary’s Malankara Seminary. During this time, he also served as Visiting Professor of Philosophy at St. Thomas Apostolic Seminary Vadavathoor, Vincentian Philosophate Bangalore, Carmel Hill Philosophate Trivandrum, Benedictine Seminary Kappad, Missionary Orientation Centre Kottayam, etc.. Along with his assignment in the seminary, Bishop Eusebius served as the Pastor of the Syro-Malankara Catholic parishes at Kallayam, Arassanmoodu, Chenthipur and Kavadithala in the Archdiocese of Trivandrum. For the duration of two terms he served as the secretary of the Presbyteral Council of the Archdiocese of Trivandrum. In April 1998 he attended the Synod of Bishops for Asia in Rome, as a theological expert. In 2005 he was appointed Secretary to the Synodal Commission for Clergy of the Holy Episcopal Synod of the Syro-Malankara Catholic Church. In 2007 Bishop Eusebius was appointed as the Priests’ Personal of the Major Archdiocese of Trivandrum, Member of the Major Archdiocesan Council and Bursar of the Sarvodaya Vidyalaya groups of Schools in Trivandrum. All these offices he continued to hold till his nomination to Episcopacy. On July 14, 2010 Holy Father Pope Benedict XVI established an Apostolic Exarchate for the Syro-Malankara Catholic Faithful in the USA and appointed the then Fr. Thomas Naickamparambil as the first bishop of the Exarchate and Apostolic Visitator to the Syro-Malankara Catholics in Europe and Canada. Msgr. 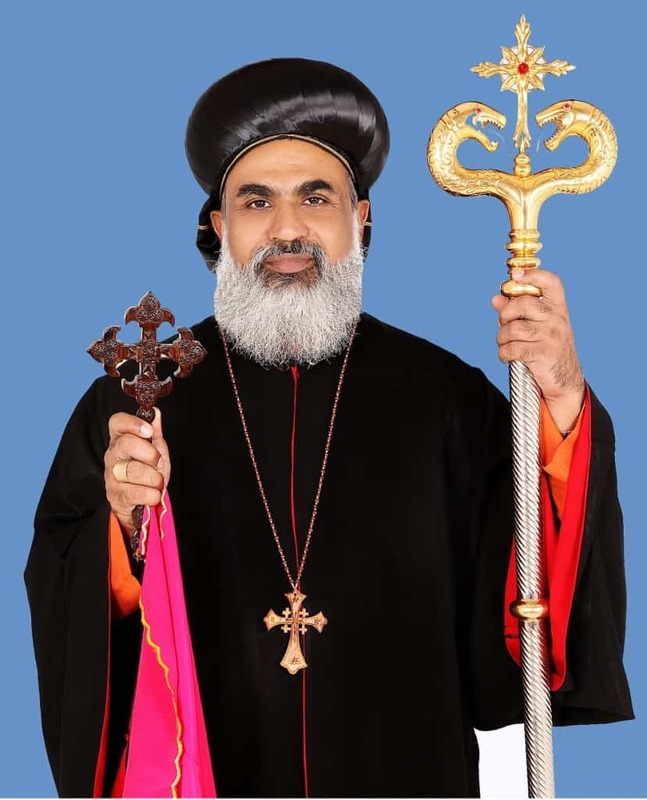 Thomas Naickamparambil was ordained as bishop by name Thomas Mar Eusebius on September 21, 2010 at St. Mary’s Cathedral, Trivandrum by His Beatitude Moran Mor Baselios Cleemis Catholicos, Major Archbishop of the Syro-Malankara Catholic Church. Mar Eusebius was installed as the first bishop of the Syro-Malankara Catholic Apostolic Exarchate in the USA on October 3, 2010 at Kellenberg High School, Uniondale, New York. His Episcopal motto is ‘to be everything to everyone in Christ’ (1 Cor. 9:22). His Excellency was born on 13 May 1952 hails from Kadamminitta in Pathanamthitta District of Kerala, India in the Major Archieparchy of Trivandrum. His parents are K.C.Thomas and Annamma. After his High School Education in Kadammanitta, he joined St. Aloysius Minor Seminary Trivandrum. On completing the bachelor’s degrees in Philosophy and Theology from St. Joseph’s Pontifical Seminary Aluva he was ordained as priest on 22 December 1978 by Most Rev. Benedict Mar Gregorios. He completed secular degrees of BA, MA, M.Phil and Ph.D from the University of Kerala. After being Appointed Lecturer in Mar Ivanios College, he later served as the Principal of St. John’s College, Anchal and retired as the Principal of Mar Ivanios College Trivandrum. From 1979 he served several parishes such as Erathumpamon, Muttathukonam, Pampukala, Vattakarikkam, Kuttichal, Vengode, Manjakala, Kunnapuzha, Kalliyal, Thirumala, Chalai, Palayam, Thiruvallam, Karakulam, Kallayam, Chenckalchoola, Anchal, Thazhamel and Ozhukuparackal as parish priest. He served as the Syncellus of the Major Archieparchy of Trivandum. Languages known are Malayalam, English and Syriac. He was appointed as the Auxillary Bishop of the Major Archieparchy of Trivandrum on 25 January 2010. He was ordained Auxillary bishop on 13 March 2010. His Excellency was born on 19 May 1944 as the third son of Abraham and Achiyamma of thebKalloor family at Kadammanitta, in Pathanamthitta district. As a little boy he showed great interest in prayer and holy services in the church. He completed his Secondary Education at Government High School, Kadammanitta. His strong desire to become a priest made him to join St. Aloysius minor seminary, Trivandrum. After the completion of his minor seminary formation, he was sent to Trichy for doing philosophy and theology. On 5 May 1973, he was ordained a priest by his Grace Benedict Mar Gregorios, Archbishop of Trivandrum. He started his pastoral ministry as the assistant vicar in parishes around Balaramapuram. Later he became the vicar of Venniyoor, Mulloor, Chowara and Vizhinjam. Then he was appointed as the Director of the St. John’s Hospital for the victims of Leprosy at Pirappencode. Then he was sent to do the mission work at North America. When Archbishop Benedict Mar Gregorios officially inaugurated the Malankara Catholic Mission in North America, he was appointed as the Co-Ordinator. Considering his pastoral zealous and exemplary mission activities in 1997 he was raised to the status of a Cor-Episcopo. 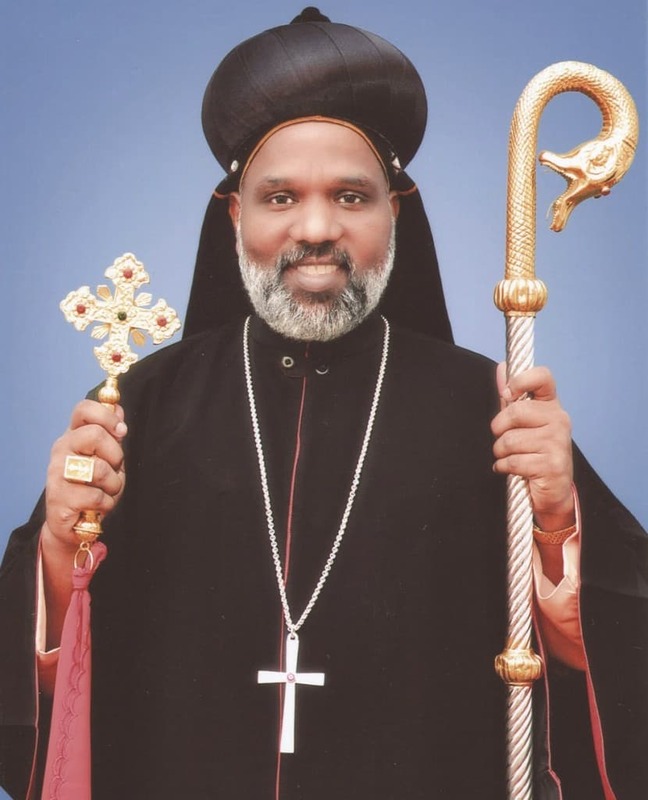 The unexpected demise of His Excellency Lawrence Mar Ephrem, the first bishop, the New Eparchy of Marthandam in its initial stage was in a state of uncertainity. During this time, His Holiness Pope John Paul II appointed Rt. Rev. 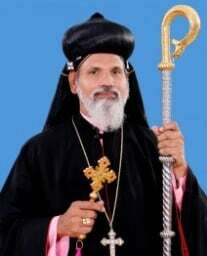 John Kallor Cor-Episcopo as the second bishop of the Eparchy of Marthandam on 16 April 1998. 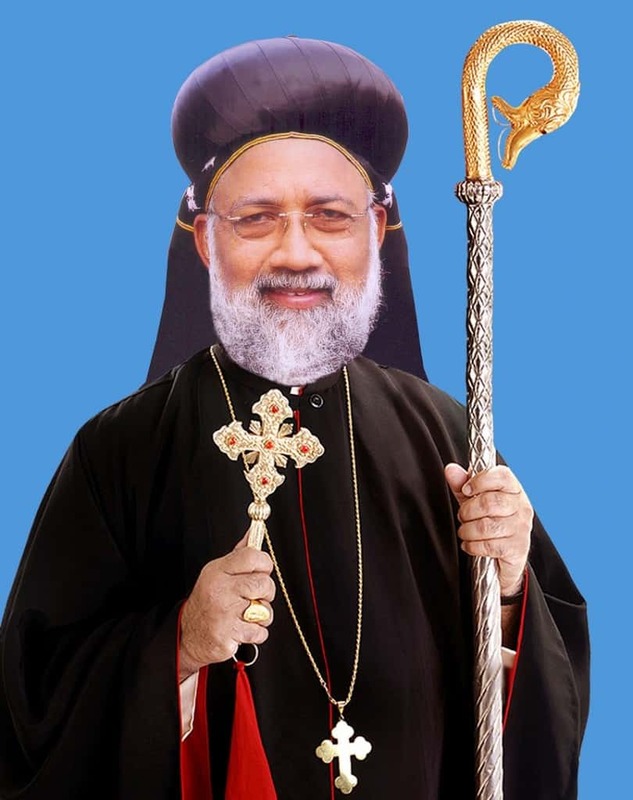 He was ordained as bishop with the name Yoohanon Mar Chrysostom by Archbishop Cyril Mar Baselios at Mar Ivanios Stadium, Trivandrum, on 29 June 1998. He was installed as the bishop of Marthandam on 1st July 1998 at Marthandam Cathedral. He celebrates his Feast Day on November 13. His Excellency Most Rev. Joseph Mar Thomas, the veteran educationalist and economist was born in the small village of Vadaserikkara, presently in the district of Pathanamthitta, on 20th April 1952 to Mr. K.C. Thomas and Sosamma Thomas. He did his primary education in the Govt. L.P. School, Vadasserikkara and completed his schooling at Vadasserikkara High School. He then joined the St. Aloysius Minor Seminary in June 1968. He did his Pre-degree choosing Economics, History and Political Science as his optional subjects from Mar Ivanios College, Trivandrum. Thereafter, he joined the Pontifical Seminary, Alwaye for completing Bachelors degree in Theology (B.Th). Later as part of his priestly studies he did his Bachelor of Philosophy (B.Ph) at Carmelgiri Seminary, Alwaye. He was ordained as Priest by His Grace Dr. Benedict Mar Gregorios the late Archbishop of Trivandrum, on 23rd December 1978 at St. Antony’s Church, his home Parish at Vadaserikkara. After his ordination Fr Joseph Konnathu served in various parishes like Thatta, Adoor, Anandapally, Parakode, Elamannoor, Perandal, Kalayapuram etc. By 1979 he was sent to Kollam (Kadappakkada) as the first resident Vicar of the St. Thomas Malankara Catholic Church, Kadappakada and Assistant Vicar of seven parishes in the neighbourhood such as Kummalloor, Kottara, Pooyappally, Paruthiyara, Maruthamonpally, Chenkulam and Poriacode. In spite of his busy mission work at Kollam he did his Bachelor’s Degree in Economics from the esteemed Fathima Matha National College, Kollam and passed out with flying colours. In June 1982, he was appointed as the Local Manager of Sarvodaya School and St. John’s High School and the Boarding Rector of Sarvodaya. During this period he served as the Chaplain of the S.H. Convent, Nalanchira and served as Parish priest of the three missions in Trivandrum district, viz. Chalai, Kallayam and Karakulam. He completed his Bachelor’s degree in Education taking English as his optional subject and continued doing a Master’s Degree in the same. During his tenure as the Rector of the Trivandrum Minor Seminary he also served as the Senate member of the Pontifical Institute, Alwaye. He also pursued a diploma in Guidance and Counselling (Kodaikanal). During this period he rendered his service as the Vocation Promoter of the Archdiocese of Trivandrum and as member of All Kerala Vocation Promotion Council. From 1986 onwards he served as Lecturer in the faculty of Economics at Mar Ivanios College, Trivandrum. After completing six years of service in the Minor Seminary, he was appointed as the Ecclesiastical District Vicar of Trivandrum and the Vicar of the St. Mary’s Metropolitan Church, Pattom. While working as a lecturer in Mar Ivanios College he started his research work in the field of “Economics of Education” in the University of Kerala and completed the same by 1997 and was awarded Doctorate in Education. Fr. Joseph Konnathu joined the faculty of Education at Mar Theophilos Training College, Trivandrum in 1996 and after a year he took charge as the Principal of his alma mater for a period of 10 years. In 1998, he contested the Kerala University Senate election, as an independent candidate and became senate member, securing a huge majority of votes from the College Teacher’s constituency. In 1999, he became a member of Board of Studies of Education and Faculty Member of Education in the University of Kerala. In the year 2000 he was appointed as the member of School Curriculam Committee, headed by the Education Minister, Government of Kerala. He worked as the NCTE South Zone Expert Committee Member, Bangalore, Vice President of Council for Teacher Education (CTE) Kerala chapter, Malankara Catholic Catechism Text Book Committee Chairman and the committee member of the Principal’s Council of Kerala. In his various capacities as Theologian, Priest and Professor, Most Rev. Mar Thomas has been writing for the Print Media. He has published several research articles on various subjects in Economics and Education in recently published books. On the 5th of Jan 2005 he was appointed as the Auxiliary Bishop of Trivandrum and Apostolic Visitator to North America and Europe by His Holiness Pope John Paul II. And the same was announced in Trivandrum by His Beatitude Moran Mor Cyril Baselios Catholicos, the Major Archbishop of Trivandrum. His consecration ceremony was celebrated on 19th of February 2005 with the name Joseph Mar Thomas at St. Mary’s Cathedral Church, Pattom. Bishop Joseph Mar Thomas has visited several countries namely Egypt, Jordan, Israel, Palestine Italy, UAE, Qatar, Germany, Switzerland, Belgium, Austria, Britain, North America, Canada for pastoral ministry and attending international seminars. Bishop Joseph Mar Thomas organized several National and international Seminars and attended more than 100 seminars of the same. He is a research guide of the University of Kerala and at present six students are conducting research leading to Ph.D. under him. He is serving as educational consultant of several regional, national and international institutions. He is the Director of the international center for research and development at Chennai, Trivandrum and New York Chapters. Besides, at present he is a consultant member of the New York State board education. His Excellency Most Rev. Jacob Mar Barnabas was born on 3 December, 1960 to Geevarghese and Rachel of Aerath family at Karikulam, Ranni, Pathanamthitta in Central Kerala. Lovingly called ‘Monachan’ was baptized with the name ‘Chacko’. He was the eldest among eight with three brothers and five sisters. Three of his sisters are nuns in the Congregation of Sisters of Imitation of Christ. Joined the Order of the Imitation of Christ in 1975 after his schooling at Ranni and completed his Pre-Degree Course from Mar Ivanios College, Trivandrum; took his First Profession in 1979 after his novitiate at Thapovanam Bethany Ashram, Alwaye; did his Pre-philosophy at Papal Seminary, Pune and completed his Philosophy and Theology at Jnana DeepaVidhyapeeth (JDV), Pune. His Final Profession was on 15 May, 1985. He was one among the first batch of theologians at Bethany Vedavijnana Peeth (BVP), Pune. 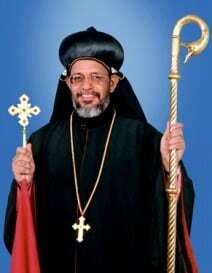 He was Ordained Priest on 2 October, 1986 by His Grace Archbishop Benedict Mar Gregorios at Mount Bethany, Mylapra. The new priest was given the charge of religious formation for pre-novices; later he was sent to Academia Alfonsiana, Rome for pursuing higher studies in Moral Theology. He presented his doctoral thesis on ‘Liturgy and Ethos’, a study based on the Malankara Liturgy of Marriage, in 1994. During his priestly ministry, Fr. Chacko Aerath OIC held various positions of great responsibility, viz. Superior, Bethany Ashram, Pune; Rector, BVP, Pune; Professor and Head of the Department of Pastoral and Moral Theology at JDV, Pune; Visiting Professor to various seminaries including Malankara Major Seminary. He was elected as the first Provincial Superior of Bethany Navajyothi Province in 2000. On 7 February, 2007 Pope Benedict XVI appointed him as the Apostolic Visitator with an Episcopal Character for the Malankara Community in the Extra Territorial Regions in India and the Titular Bishop of Bapara. The Bishop designate Msgr. Chacko Aerath was ordained ‘Ramban’ on 7 March 2007 at St. Mary’s School, Ranni, Pathanamthitta and was consecrated as Bishop Jacob Mar Barnabas by His Beatitude Major Archbishop Moran Mor Baselios Cleemis Catholicos on 10 March, 2007 at St. Mary’s Cathedral, Pattom, Thiruvananthapuram. The motto of His Excellency Mar Barnabas is Vachanasya Sakshi Bhava’ (Be a witness to the word). He was enthroned in his new office at New Delhi on 22 March, 2007. His Excellency was born on 9 May 1952 hails from Karimpanamkuzhy, Ranni, Kerala, India in the Archieparchy of Tiruvalla. His parents are Philip and Mariamma. After High School education in Ranni he joined Infant Mary’s Minor Seminary of Tiruvalla.He studied at Papal Seminary Pune and completed bachelor’s degree in Philosophy and Theology at Jnana Deepa Vidyapeeth Pune. Fr. Stephen Thottathil was ordained priest for the Eparchy of Tiruvalla on 27 April 1979 by His Excellency Most Rev. Isaac Mar Yoohanon. He also completed his Master’s Degree in Theology from Jnana Deepa Vidyapeeth Pune. After a few years of pastoral experience he did his Doctorate in Moral Theology at the Academia Alfonsiana, Rome. Besides his ministry as Parish Priest, he served the Eparchy of Tiruvalla as the Rector of the Minor Seminary, Director of the Malankara Catholic Youth Movement and Associate Administrator and later Director of Pushpagiri Hospital. He also served the Archieparchy of Tiruvalla as its Administrator when the See was vacant in the year 2003. From 2003 to 2006 he was the Protosyncellus of the Eparchy. Fr. Stephen Thottathil who was the Rector of the St. Mary’s Malankara Seminary during years 2000 -’03 later served the same seminary as the Dean of the Faculty of Theology. Besides Malayalam and English he knows Italian, German and Syriac. He was appointed as the Auxillary Bishop of the Archieparchy of Tiruvalla on 25 January 2010. He was ordained as Auxillary bishop on 13 March 2010.